Other Information: Each Packet Contains: potassium 4 mg, sodium 27 mg. Phenylketonurics: Contains phenylalanine 34 mg per packet. Store at controlled room temperature 68-77 degrees F (20-25 degrees C). Protect product from heat and moisture. Misc: Acetaminophen - Pain reliever/fever reducer. Dextromethorphan HBr - Cough suppressant. Phenylephrine HCl - Nasal decongestant. Nasal & sinus congestion. Cough. Body ache. Sore throat pain. Headache. Fever. See new warnings information & directions. Compare to the active ingredients in Theraflu Daytime Severe Cold & Cough (This product is not manufactured or distributed by Novartis Consumer Health, Inc. or their affiliates, owner of the registered trademark Theraflu). Parents: Learn about teen medicine abuse. www.StopMedicineAbuse.org. 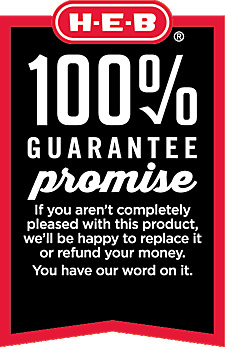 100% Guarantee Promise: If you aren't completely pleased with this product, we'll be happy to replace it or refund your money. You have our word on it. Made in Israel. Uses: Temporarily relieves these symptoms due to a cold: minor aches and pains; minor sore throat pain; headache; nasal and sinus congestion; cough due to minor throat and bronchial irritation. Temporarily reduces fever. Directions: Read all warnings and directions on carton before use. Keep carton for reference. Do not discard. Do not use more than directed. Take every 4 hours, while symptoms persist. Do not take more than 5 packets in 24 hours unless directed by a doctor. Dissolve contents of one packet into 8 oz. hot water: sip while hot. Consume entire drink within 10-15 minutes. If using a microwave, add contents of one packet to 8 oz. of cool water: stir briskly before and after heating. Do not overheat. Children Under 4 Years of Age: Do not use. Children 4 to Under 12 Years of Age: Do not use unless directed by a doctor. Adults and Children 12 Years of Age and Over: One packet. Ingredients Active Ingredients: In Each Packet: Acetaminophen (650 mg), Dextromethorphan Hydrobromide (20 mg), Phenylephrine Hydrochloride (10 mg). Purpose: Pain Reliever/Fever Reducer, Cough Suppressant, Nasal Decongestant. Inactive Ingredients: Acesulfame Potassium, Aspartame, Citric Acid Anhydrous, FD&C Blue 1, FD&C Red 40, Flavors, Maltodextrin, Sodium Citrate Anhydrous, Sucrose, and Pregelatinized Starch. Warnings: Allergy alert: Acetaminophen may cause severe skin reactions. Symptoms may include: skin reddening; blisters; rash. If a skin reaction occurs, stop use and seek medical help right away. Liver warning: This product contains acetaminophen. Severe liver damage may occur if you take more than 4,000 mg of acetaminophen in 24 hours; with other drugs containing acetaminophen; 3 or more alcoholic drinks every day while using this product. Sore throat warning: If sore throat is severe, persists for more than 2 days, is accompanied or followed by fever headache, rash, nausea, or vomiting consult a doctor promptly. Do not use: a child under 4 years of age; if you are allergic to acetaminophen; with any other drug containing acetaminophen (prescription or nonprescription) (If you are not sure whether a drug contains acetaminophen, ask a doctor or pharmacist); if you are now taking a prescription monoamine oxidase inhibitor (MAOI) (certain drugs for depression, psychiatric or emotional conditions, or Parkinson's disease), or for 2 weeks after stopping the MAOI drug. If you do not know if your prescription drug contains an MAOI, ask a doctor or pharmacist before taking this product. Ask a doctor before use if you have liver disease; heart disease; high blood pressure; thyroid disease; diabetes; trouble urinating due to an enlarged prostate gland; cough that occurs with too much phlegm (mucus); cough that lasts or is chronic such as occurs with smoking, asthma or emphysema. Ask a doctor or pharmacist before use if you are taking the blood thinning drug warfarin. When using this product: do not exceed recommended dosage. Stop use and ask a doctor if: nervousness, dizziness, or sleeplessness occurs; fever gets worse or lasts more than 3 days; redness or swelling is present; new symptoms occur; pain, cough or nasal congestion gets worse or lasts more than 7 days; cough comes back or occurs with rash or headache that lasts. These could be signs of a serious condition. Pregnancy/breast-feeding warning: If pregnant or breast-feeding, ask a health care professional before use. Keep out of reach of children. In case of overdose, get medical help or contact a Poison Control Center right away. Prompt medical attention is critical for adults as well as for children even if you do not notice any signs or symptoms. Other warnings: Tamper Evident Inner Packet: Do not use if sealed packet is torn or broken.